I’ve often walked past Ping Pong at the Southbank near Waterloo and fancied giving their dim sum a try but it’s one of those types of food that you really need someone to share with so when I was looking for somewhere nearby my flat for Matt and I go to dinner this was one of the options we came up with. It turned out to be a reallllly good choice. 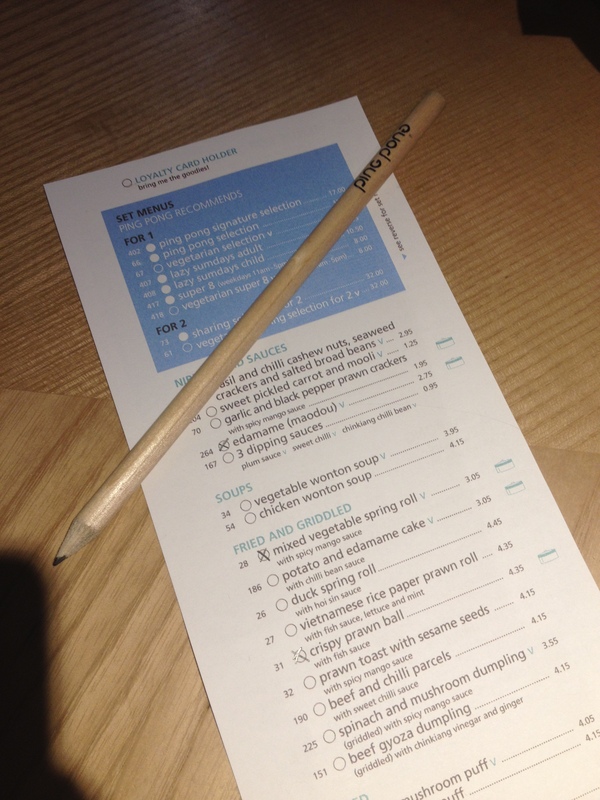 You get given the menu and a pencil with which to cross off the items you want to order. Some of the things we wanted to order weren’t available but there’s so much choice on the menu that it’s easy enough to pick others! They suggest that you order one fried or griddled item, one baked item, one rice dish and two baskets of steamed dumplings. We ordered a little more than this and it was perfect for us. 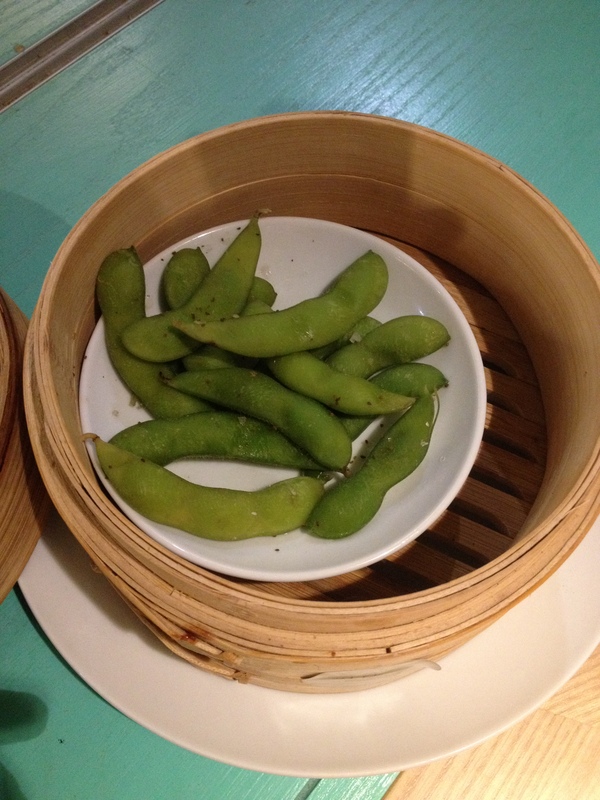 To start we had some edamame beans because I just love these little suckers. The mixed vegetable spring rolls and the crispy prawn balls arrived at the same time and both were very good. The spring rolls were not at all soggy which is always a bugbear for me and the dipping sauce that they came with was delicious. They didn’t hold a candle to the prawn balls which were like NOTHING I have ever tasted. So good I snagged two of them and could have easily eaten more. Not a fan of pork I skipped the char sui buns in favour of the chicken and cashew nut dumplings which were delicious and made me wish we’d ordered other kinds. On my must try list are the chicken and garlic ones, the seafood ones and the monkfish and lime. Pretty much any of them with chicken or fish! 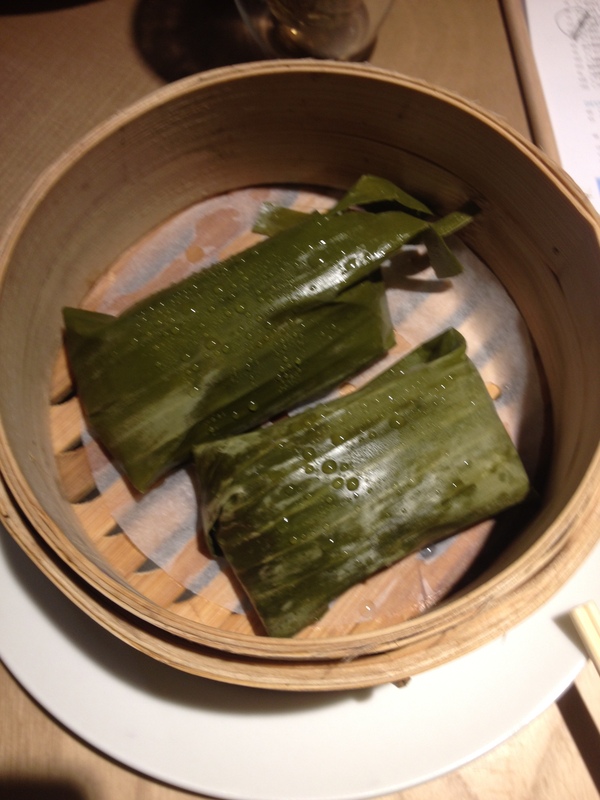 Finally we had the king prawn and scallop sticky rice which came wrapped up in bamboo leaves which was a really cool touch. The prawns and scallop is embedded right in the middle of the rice but there wasn’t a lot of filling and this was the least impressive item on the menu and I would much rather have had more dumplings instead! After that lot there was no room for dessert but we did have some flowering teas which are always light and refreshing as well as beautiful to watch as they unfurl in your glass like magic. I would definitely recommend Ping Pong as some place to go with friends who like sharing and tasting different things but it’s probably not somewhere I’d recommend going on your own.